The association also comes out in support for careful ICO regulation in the crypto-hub of Switzerland. The Crypto Valley Association (CVA), the Switzerland-based not-for-profit association for blockchain-related technology, today announced support for careful regulation and best practices for initial coin offerings (ICO). The announcement describes the development of an official, CVA-supported ICO Code of Conduct, a framework designed to guide ICOs on proper conduct. “However, this growth in popularity has caught the attention of regulators worldwide, who wish to protect participants by clarifying the exact function and legal and tax status of the tokens. In addition, investors are often unaware of the true nature of their investment, and the documentation published to accompany token launches often minimizes or ignores the associated risk,” added Bussmann. “The Crypto Valley Association fully supports innovation in the blockchain space. We believe that token sales represent an exciting, sound and innovative approach to raising investment capital. Therefore, we believe Switzerland should support this trend by developing clear, comprehensible, yet flexible regulation that clarifies the legal status of ICOs and the tokens generated,” added Bussmann. 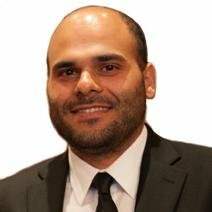 “The rapid development of token launches has raised concerns around stability and security, and as a leader in this field, it’s our responsibility to support the industry. 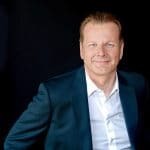 The widespread adoption of this framework, combined with careful supportive regulation would bring stability to an exciting but uncertain trend in blockchain,” concluded Bussmann.